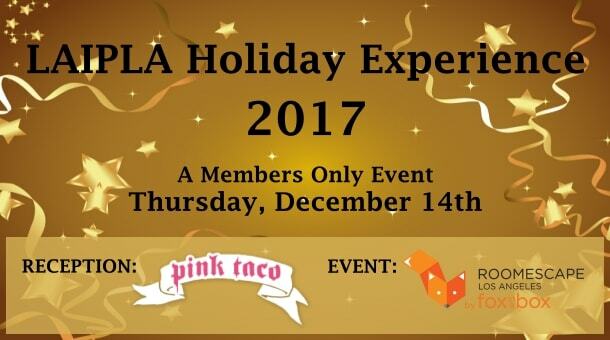 As part of our holiday tradition, LAIPLA offers a Members Only social event that is open to our members and their spouses/significant others. This year we have an action packed event at RoomEscape (voted by Forbes as the Best Escape Room in LA), and margarita/sangría taco/quesadilla fiesta at Pink Taco. The Holiday Experience is exclusively for LAIPLA members and is one of the privileges of LAIPLA membership. Any LAIPLA Member can purchase one ticket for themselves and their spouse/ significant other. Pre-registration deadline is Friday, December 8. We don’t expect any tickets to still be available, but after Friday, December 8, the registration fee increases by $25. Cancellations must be received by Friday, December 8. Any cancellations received after that date will not be refunded. Valet will be available at Pink Taco for $8. Additionally, there is public parking lot next door for $20 plus street parking. *Please arrive by 5:45 PM to fill out a waiver if you plan to play at 6 PM. For over 20 years, ForensisGroup has provided the nation’s top law firms with highly qualified expert witnesses and consultants. Experts referred by ForensisGroup have been thoroughly evaluated based on experience, education, track record, client feedback and much more. Over 8,000 clients have retained our experts in more than 10,000 cases nationwide. 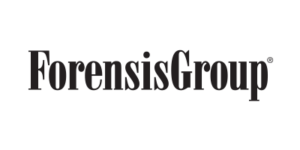 ForensisGroup takes a multi-disciplined approach, referring our clients to experts of various disciplines that may have an impact on the issues of the case. Clients benefit from free initial discussions with experts to gain better technical or scientific knowledge about their case. We offer free no-obligation recruiting. HG Deposition and Litigation Services is a global court reporting agency that specializes in the personalized “customer service” approach from deposition to trial. We are known for our attention to detail, customized and responsive support, state-of-the-art deposition solutions, trial preparation services, and pricing structures that help manage and predict deposition cost. 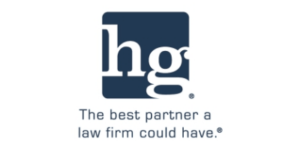 Since 1979, HG Deposition and Litigation Services has been a player in global deposition and trial coverage and has employed more than 2,500 Certified Court Reporters worldwide. With an average tenure of over 15 years each, our dedicated team of litigation support specialists and certified court reporters are ready to assist you in all aspects of deposition services, trial support, videography/multimedia services, and electronic copying or scanning services. Please give us the opportunity to earn your trust and business. Questions? Contact the LAIPLA office at office@laipla.net or call 323-285-1654. Sponsorship? See LAIPLA Sponsorship Opportunities 2017-2018 for this event and others. Contact the LAIPLA office at office@laipla.net or call 323-285-1654.